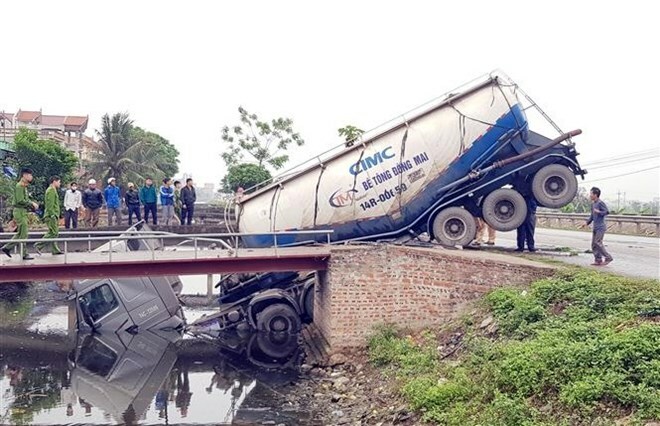 Hanoi (VNA) - The Directorate for Roads of Vietnam (DRVN) has proposed developing software to better manage drivers working in transportation enterprises. The software will include a database of information on all drivers working for transportation businesses nationwide, including information on their driving licences, training courses, road safety violations and punishment records. All departments of transport at the provincial and city levels will be granted accounts to keep track of the drivers and transport businesses under their management. Transport businesses are required to regularly update all job-related information of their drivers, including results of periodical health check-ups and drug tests. The software will be connected to the driving licence management software, the vehicle GPS tracking system, medical facilities which conduct health check-ups for drivers and agencies responsible for dealing with traffic violations like traffic police and inspectors. The proposal, which has been sent to the Ministry of Transport, was put forward after a series of serious traffic accidents in which drivers were found to be high on drugs. It took the authorities a lot of time to locate the drivers’ records to help identify the cause of the accidents. Under current regulations, transport businesses are already required to update drivers’ information in their in-house dossiers. However, the DRVN said there are still management difficulties that arise from a lack of data sharing.